90 species of wild willow grow in the Pacific and Inland Northwest and all work the same, medicinally. It is very versatile, and one of my all-time favorite plants to harvest and utilize. Common knowledge is that willow is an excellent pain reliever, fever reducer, and anti-inflammatory herb, however, its medicine reaches much farther. Among the many constituents in willow is apigenin, a naturally occurring plant flavonoid shown to possess anti-inflammatory, antioxidant and anticancer properties. Epidemiologic studies suggest that a diet rich in flavones is related to a decreased risk of certain cancers, particularly cancers of the breast, digestive tract, skin, prostate and certain hematological malignancies. It has been suggested that apigenin and other flavonoids in willow may be protective in other diseases that are affected by oxidative process such as cardiovascular and neurological disorders. Depending on the constituents that are required for their unique benefits, willow can be utilized as a tea, syrup, honey, tincture, liniment, and medicinal oil. It does taste a bit bitter, so not everyone will be willing to take it in tea form. We’ll explore ways to make the medicine of willow palatable, and get the medicine to the people in a way in which they will take it. It’s bark peeling time! Such a versatile plant, willow is utilized for its root starting growth hormones and for making fences, furniture, and more. I’ll demonstrate how to make a willow fence. Think of the possibilities! Willow fences around your flower and garden beds, chicken pens… the list is endless. 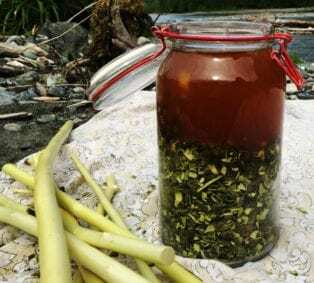 You’ll learn more than you thought possible about this amazing plant and spend the day in the sun harvesting and processing your bounty as you watch the river lazily drift by. This is going to be the Best Harvest Day Ever! It would be a fabulous idea to read my articles on willow for extra information. Willow and Nature’s Pain Relievers before the harvest intensive. As a bonus, we will take time to explore the majestic cottonwood, a cousin to willow that embodies some of the same medicinal qualities as willow, yet stands alone in its own unique medicine. 3. Paring knife and scissors for scraping and chopping the bark. 4. Something to sit on ~ we will be processing the willow on the beach! 9. Lunch/dress for the weather, please wear sturdy shoes! 10. Sunblock, hats, umbrella or whatever you want to protect yourself from too much sun. Location: Carnation, WA. Exact address will be in your registration confirmation email. 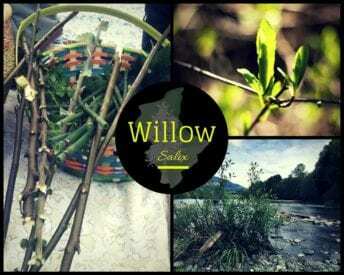 Wildcrafting willow workshop is full. Please check out our other workshops!